Hello fans...Have you seen the Sports Themed July dies at Die-Versions? Well, me bein' a baseball junky...you know I am lovin' the baseball theme. 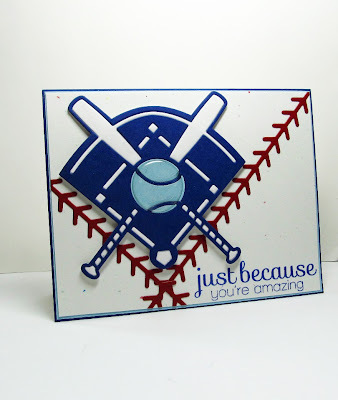 How darling is this Baseball Stitching? And the Baseball Diamond with crossed bats...too cute, I tell you!!! Sentiment is by Simon Says Stamp. I added an acrylic circle sticker over the baseball, and I just love it! 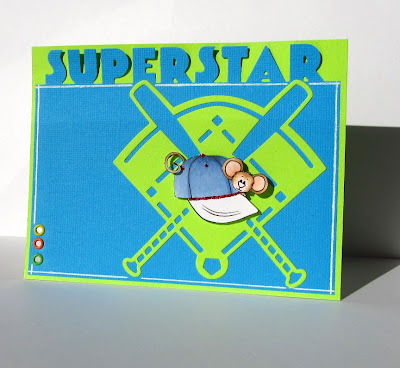 For the card above I used the same Baseball Diamond and added a digi stamp on top, as well as the new Superstar edge die. 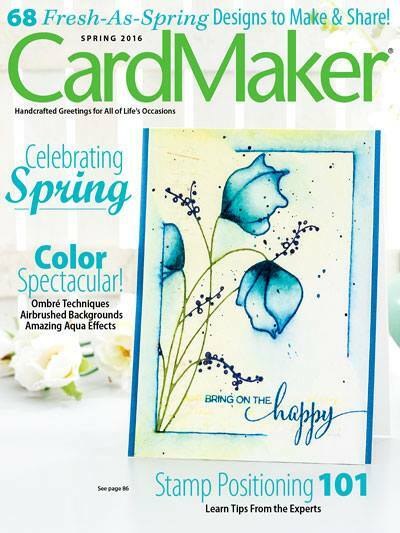 You know you are loving the lime green and blue...admit it! For all the B-Ball fans out there and in your circle of friends and family...these are MUST HAVE !! Love how you used the die in two completely different ways. Great cards.